New Apple iPad Air should be available tomorrow folks. Nuff said. Nahhhh… I’d never do that. I would go to CTO sell that iPad and buy a Nexus 5 and Nexus 10. 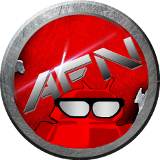 Dave is the owner and founder of Android Fan Network, has a special place in his heart for Google Play Edition devices, and stock Android. When he's not writing for AFN, you can find him at www.CellTraderOnline.com lurking the forums. This entry was posted in Random and tagged iPad Air. Bookmark the permalink.